In between glasses of Chianti, ancient Roman ruins, and great works of Renaissance art is the chance the shake up your Italian getaway with a trip to independent San Marino! This tiny country offers a unique escape to a land of cliff top forts and picturesque hills, all as easy as visiting the next town over. San Marino is located in the northeastern part of Italy, and is completely surrounded by its much large European neighbour. Though landlocked, it’s not far from the coast. 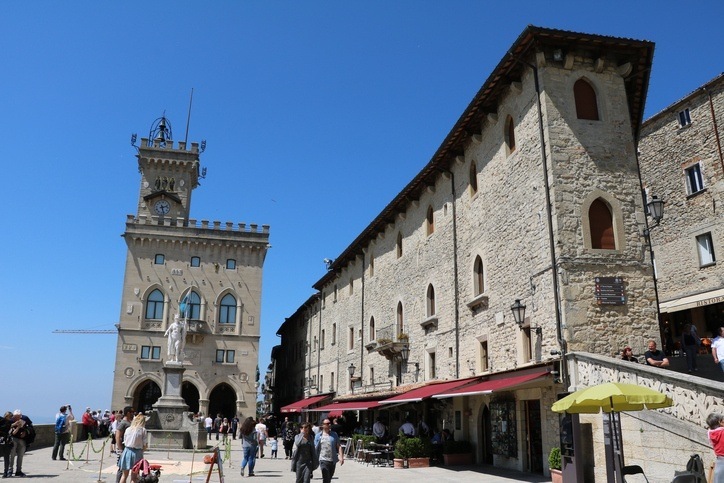 When is the best time to visit San Marino? 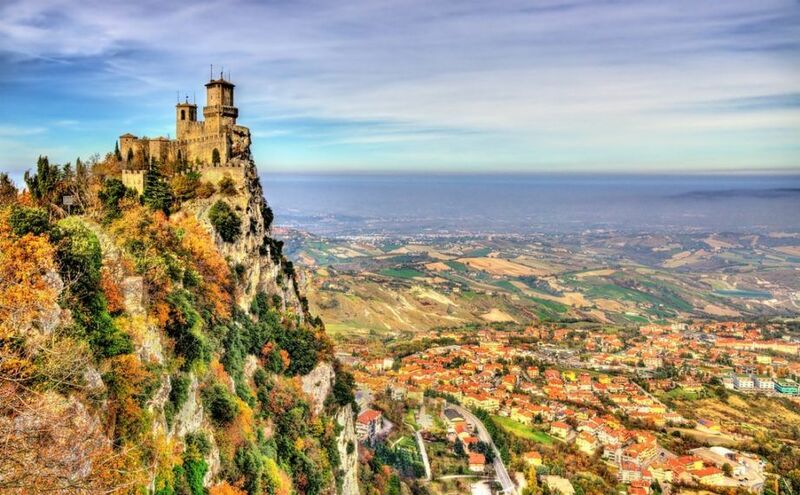 You can visit San Marino any time you’re considering visiting Italy, summer being the peak tourist season. Winter can be a better time to visit if you want to avoid tourists at the castles or other marquee sights. That being said, there’s no bad time to go. How do I get around San Marino? 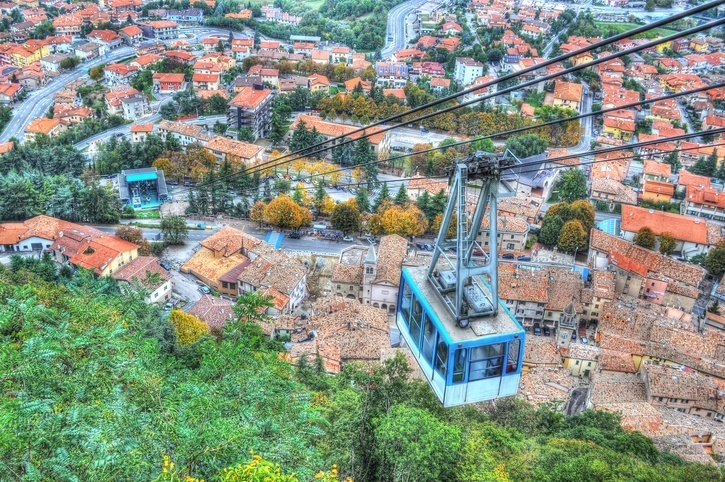 There are many roads throughout San Marino as well as bus and taxi services. The bus from Rimini, Italy to Città is the main way of getting into the country and to most of the highlights. There’s also a tram (gondola) that takes you to the upper parts of the capital. Italian is the official language though many residents also speak Sammarinese (which is close to the local regional dialect of Italian). You’ll also find many who speak English, though learning a few Italian phrases wouldn’t hurt. 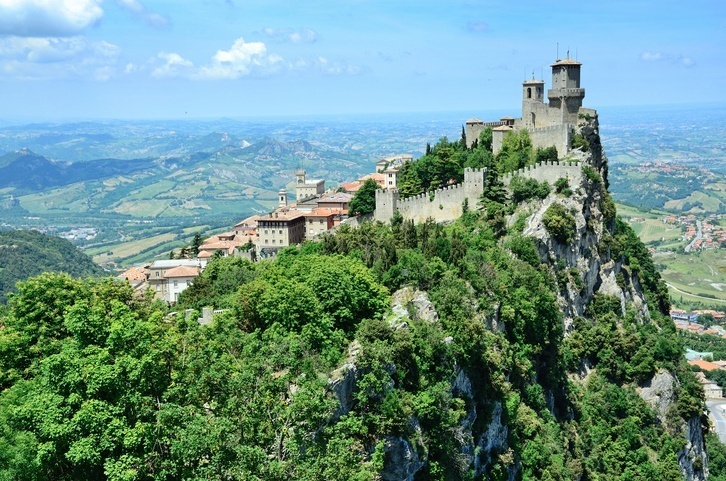 Atop the three peaks of Monte Titano (still within the limits of Città) are the famous Three Towers of San Marino. Constructed over a few centuries in the late Middle Ages, the three towers stand tall over the entire landscape and capital. The first tower, Guaita, is the most recognizable and famous in the land. Cesta is located at the highest elevation and is well known for its collection of medieval weapons. Finally, Montale (the least known) is not open to the public and was often used as a prison. Overall, these three towers are the dominating feature on the Sammarinese landscape and represent its most renowned contribution to the wealth of medieval and classical European architecture throughout the continent. While most visitors stay within the limits of Città (for good reason), the option is still there to wander the countryside and see what else beckons. 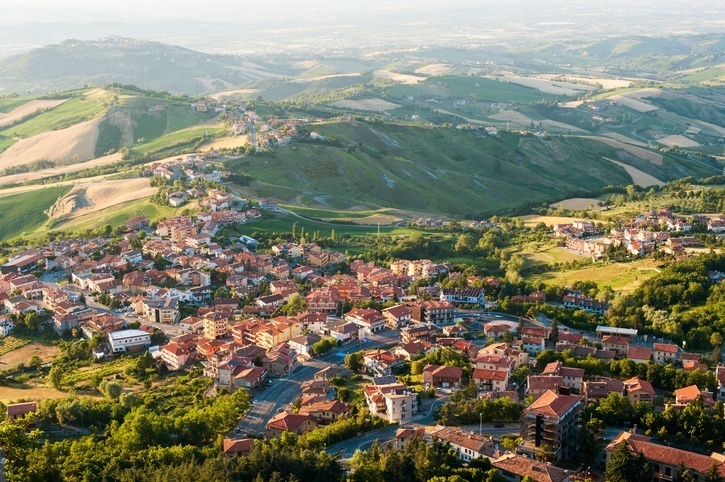 Coming down from Monte Titano reveals idyllic countryside with quaint villages, some wineries, rolling hills, and more. It’s not a lot but it is peaceful and just as beautiful as much of the considerably more famous (and admittedly more interesting) Tuscan countryside. Many local visitors fly into the airport in Rimini, Italy before making their way to San Marino by bus. 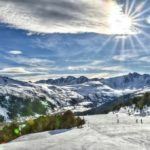 Larger airports nearby include Bologna and Florence, both of which offer round trips from Toronto for around the $1000 Canadian mark. Presuming you plan on travelling through Italy and not just San Marino, you should pick the airport that suits your itinerary the best. While not a member of the EU, San Marino does use the euro and is generally about on par with nearby parts of Italy in terms of prices. Simply wandering around the town won’t cost you much, though some admission fees will have to be paid depending on what you’re up to. San Marino is a very safe country with a low crime rate. There’s not much else to say except that you should exercise the same normal travel precautions you always do. 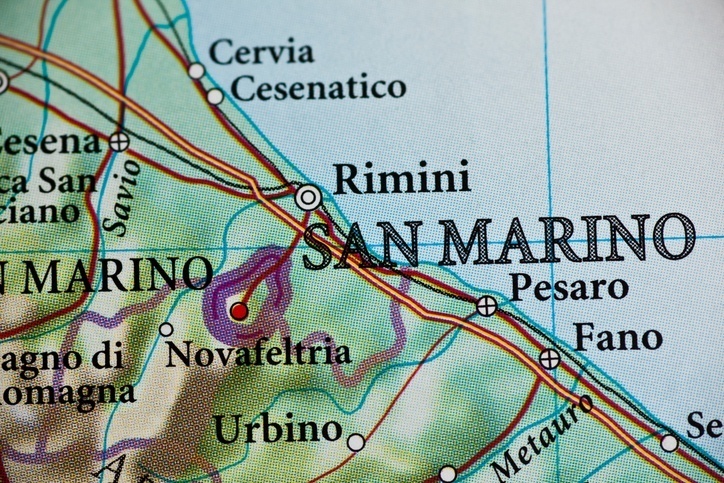 For much more in-depth information, check out the Canadian Travel Advisory for San Marino. 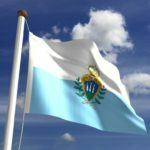 You can learn more about the history and culture of San Marino in our Country Profile. Also, find out all you need to know about the euro with the Currency Spotlight. You can also check out our Italy Travel Guide.